During the summer months I prefer to wear less make-up, opting for a natural summer glow, to achieve this look there are secret measures that will give you the ‘glow’ without the foundation! You need to keep your skin in tip top condition, a regular face mask, or exfoliator will remove dead skin cells, giving your complexion a natural, radiant glow. 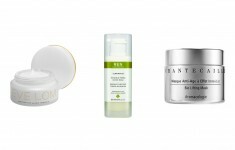 Keep the skin hydrated through face serums, I go on and on about serums as they really do benefit the skin. I then apply a face tanner, these are my saviors! With a face tanner, you look glowy from the moment you wake up to the moment you go to bed. The best tanners being those that stain the skin, rather than wash off and contain no shimmer or sparkle. Always wash your hands after applying; there is nothing worse than stained fingernails and hands! My favourite face tanners are the Dior Face Tanner and Clinique Self Sun Face Tinted Lotion. I like the instant results of Cliniques Self Sun, even with its lingering smell! The Dior Tanner doesn’t smell and I love the colour it achieves on the skin, it develops over a few hours, so you don’t get instant results that you get with the Clinique. My absolute favourite face tanning product at the moment is Clarins Radiance-Plus Golden Glow Booster. Mix a couple of drops into your night cream and apply before bed, in the morning you wake up with an instant glow, with the colour lasting a few days, I am completely addicted! 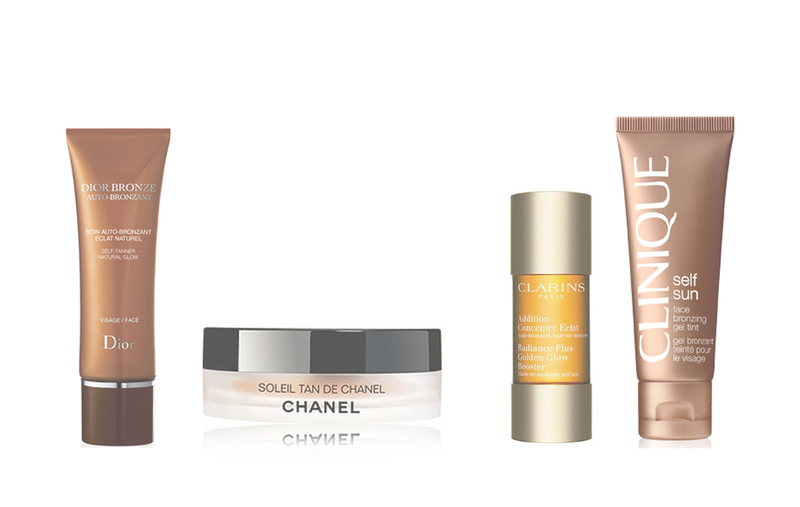 On top of the tan, if you would like more radiance, apply a radiance/shimmer cream. My favourites are the Becca Shimmering Skin Perfector, Tom Fords Illuminating Primer and Giorgio Armanis Fluid Sheer in pink. All three are moisturising shimmers, so they contain no colour and just give the skin an instant glow. If you would like more bronze, or your tan is wearing off, you can always apply a buffing of Chanels Soleil Tan De Chanel, for instant colour. It is a cream bronzer, so blended into the skin with the Chanel Petite Pinceau Brush, it gives you an overall bronze sheen. Face tanners are a great way to get out of the habit of wearing foundation, without feeling pale. Over the summer we all want a radiant glow and this is the best way to achieve it without UV damage.